Alphonse was born on May 16, 1943, in Wadena, Saskatchewan, to Sigismund and Cecylia Novak. Alphonse attended school at Lintlaw rural school. 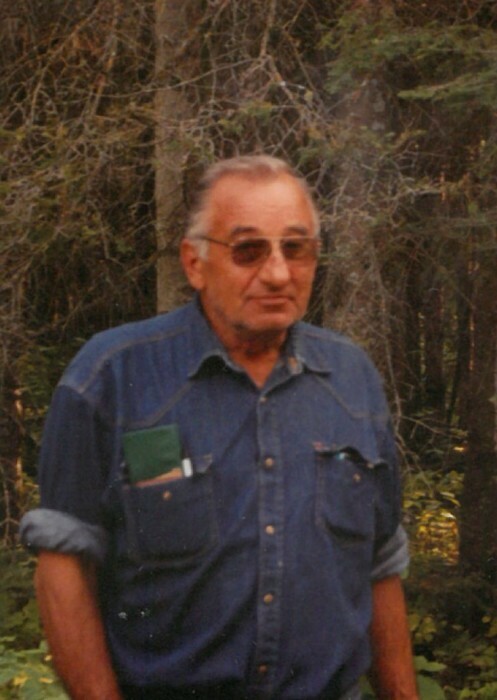 After school, Al worked on the farm until he was old enough to head to Alberta to work in the oil fields but on a seasonal basis as he always wanted to be at the farm during spring seeding and harvest. Al also ran heavy equipment for the Alix Coal Mine in the early 60s.Al was working near Camrose, Alberta, when he spotted a pretty lady named Mary Marshall. He asked her out on a date and decided she was the one for him. They married in Camrose at the United Church on February 22, 1964. When Al got home from Alberta with his new bride, his parents decided to retire so Al and Mary took over the family farm. They welcomed their first son Raymond, then daughters, Susan, Beverly and Debbie, then a son, Darryl.Al continued to farm while working part time for multiple oilfield companies and construction outfits along the way. He travelled to many places during those jobs including Nunavut, Grand Cache, Cold Lake, Edson and many more other remote locations.Al had many passions including playing cards with friends and family, classic cars, hunting, fishing, camping, snowmobiling and traveling to the United States and British Columbia.After Mary battled with multiple sclerosis, she lost her struggle on December 6, 2010. At the age of 70, Al retired from farming and continued to live on the farm near Lintlaw. In 2017, Al began living part time at the care home. He went back to the farm on weekends to ride on his John Deere Gator, checking his yard site and neighboring crops, as well as mowing his many acres of lawn. He loved to pick away at odd things, as well as enjoy the company of his eight cats and semi-tame fox, and always looked forward to morning coffee with his neighbor Sam.Al was predeceased by his parents, Sigismund and Cecylia, wife Mary, brother Paul, sister-in-law Lydia, nephew Randy and son-in-law Ken.Al is survived by his son Raymond, daughter Susan, daughter Beverly, daughter Debbie (Mick) and son Darryl. He is also survived by nine grandchildren: Jordan, Amanda, Ashton, Brady, Daniel, Connor, Kahala, Colby and Kelton; two great-grandchildren: Benjamin and Henry; two step-grandchildren: Jordon and Jacob; three nephews: Kenneth, Kelly and Darwin; and cousin Roy.